Inclusion practices in arts and crafts benefit kids with motor disabilities AND their same-aged peers. Crafts for kids with motor disabilities can help them express themselves creatively, build confidence, and aid in strengthening fine and gross motor skills. Children who grow up interacting with individuals with disabilities and chronic illness come to view these differences as a normal part of life. While art is beneficial for all children, choosing crafts for kids with motor disabilities may pose an extra challenge, but adapting to the needs of children with physical disabilities will make art accessible and fun, and promote self-esteem and confidence. Our mission at CoachArt is to create a transformative arts and athletics community for kids impacted by childhood chronic illness. For parents, guardians, and caregivers who want to provide enriching crafts for children with physical conditions, we’ve compiled a list of resources along with these 10 Easy Crafts for Kids with Motor Disabilities. Honey and Lime put together 32 Of The Best Pool Noodle Hacks, Crafts, and Games. From obstacle courses to DIY game sets, large foam pool noodles are a good material for crafts for children with motor disabilities. This can be a great experience for a child who has difficulty grasping or controlling smaller objects, and the child will be able to use their creativity in versatile ways. Large pastel chalk can be a great free-form art tool for kids with limited hand mobility because the chalk sticks can go in between fingers as well as a clenched fist if a child prefers. 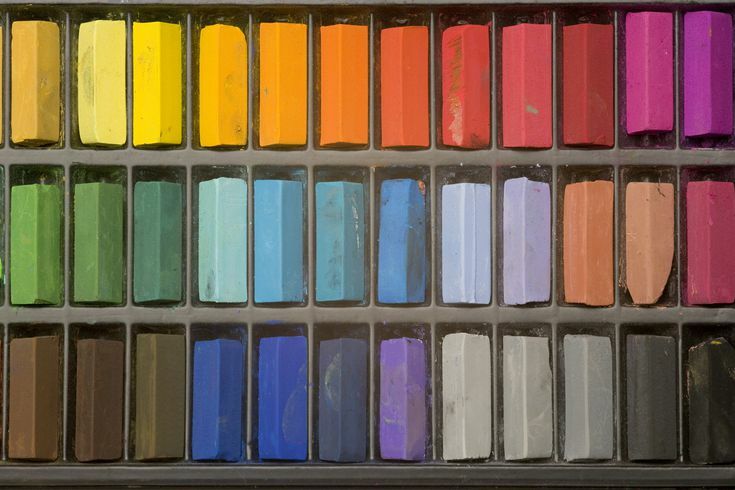 This is particularly helpful to create sections of color. The sides of a child’s hand or blending tools can be used to blend multiple colors. 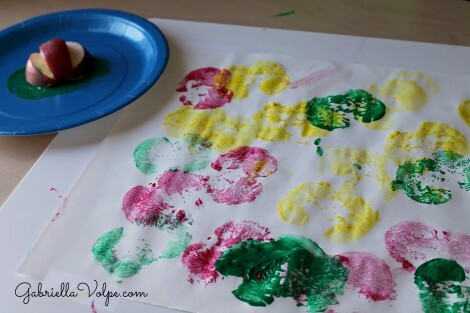 This can be a fun art tool for children of varying abilities, as well as those with gross and fine motor limitations. 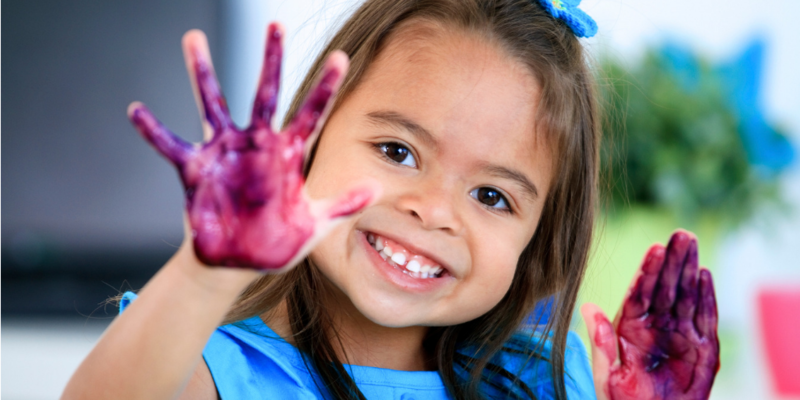 Gripping a paintbrush may be challenging for children with motor disabilities. Utilizing familiar tools like cut fruits, such as apples, or textured materials, like egg cartons, is a fun way to create stamp crafts for kids with motor disabilities that can be easily grasped. Stamp painting is easy with these adaptive tools. This cooperative art project by KinderART is a great way to facilitate a large group project that can be accomplished by children of all abilities, including kids with limited vision or motor skills. In this project, kids create a tree together using different leaf cutouts, which challenges kids to explore overlapping techniques and mixing colors, and encourages working together as a group. Bonus Tip: Try using mixed media like leaves to add extra sensory materials and variation. 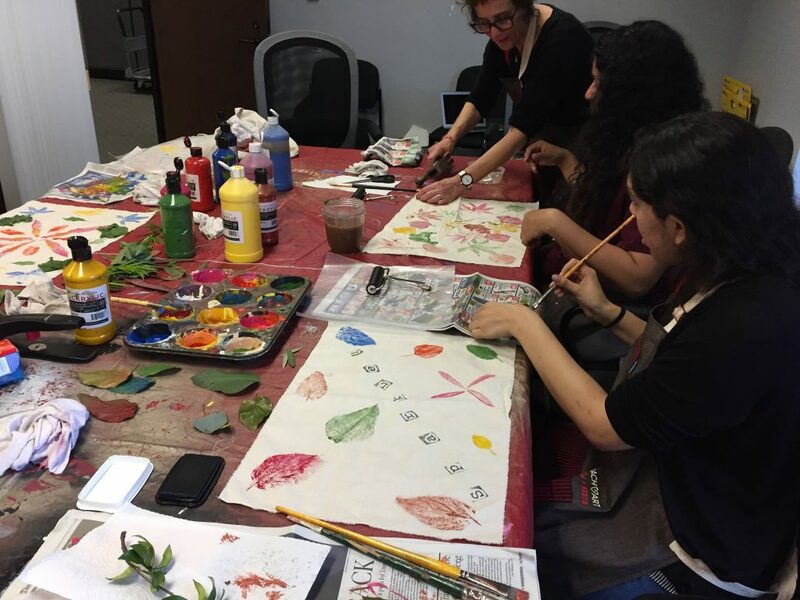 CoachArt created similar projects in our mixed media art club, where kids impacted by chronic illness used various materials including leaves and paint. Featured in 45+ Crafts for Kids with Special Needs, this video from All Free Kids Crafts gives a recipe for do-it-yourself Play-Doh! Slime, Play-Doh, and Foam can be wonderful crafts for kids with motor disabilities, as molding these soft materials can be easy and fun for a child with limited muscle control, and also engages multiple senses, particularly when scented Play-Doh is used. Free-form molding materials like clay are typically excellent for use in crafts for children with motor disabilities. Clay and molding art projects can enhance creativity for children with differing abilities while allowing those with fine motor challenges to work with ease without need for small art tools that may require a more precise grip. Do-it-yourself rainbow crayon crafts for kids with motor disabilities provide children with fine motor practice with a larger-grip art tool. It’s also fun to create, fun to use, and allows for creative self-expression! 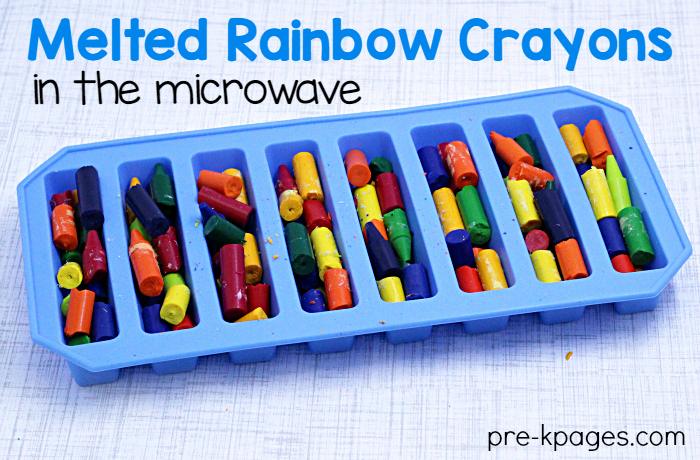 Large-grip rainbow crayons are easy to prepare from recycled or broken crayons, and only require old crayons, a silicone mold, a microwave, a bowl, and water. 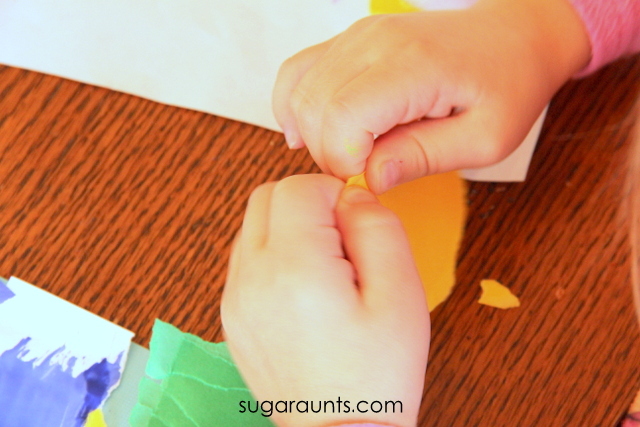 Tearing paper is an amazing fine motor activity for kids! According to The OT Toolbox, “Tearing paper requires strength and endurance of the small muscles in the hand. These intrinsic muscles are important in so many fine motor skills, including handwriting and coloring, managing buttons and zippers, manipulating pegs, and more. When paper is torn, the hands assume a great ‘tripod’ grasp, a mature grasp for writing and coloring. The non-dominant hand assists in the tearing and encourages appropriate assistance for tasks like holding paper while writing and managing paper while cutting with scissors.” Paper-tearing art activities can be a great way for kids to get creative, especially if they aren’t comfortable with scissors. 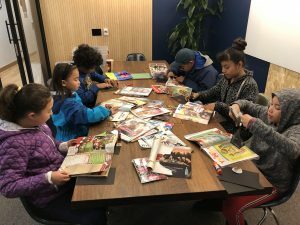 Creating a vision board, or dream board, is a fantastic activity for kids of all abilities and ages! 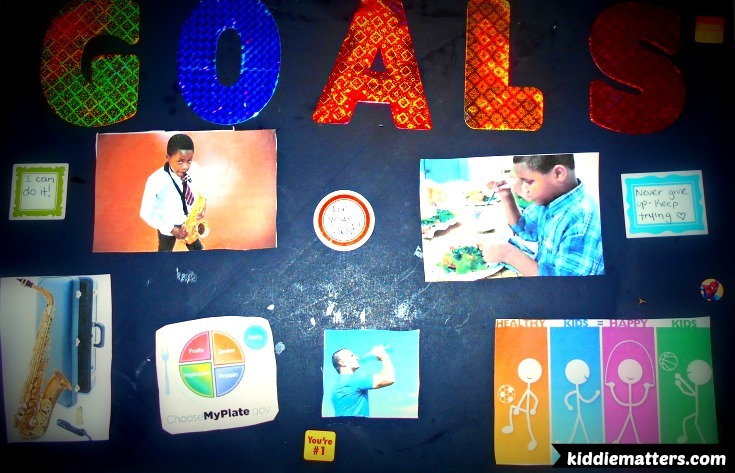 It helps children to create goals, engage in self-discovery, and express their creativity. This can be accomplished in a variety of ways to suit a child’s comfort level and can be done as a dream book, or with a large poster board that can be positioned in a way that suits the child’s specific needs. A variety of materials can be used to aid children with motor disabilities. 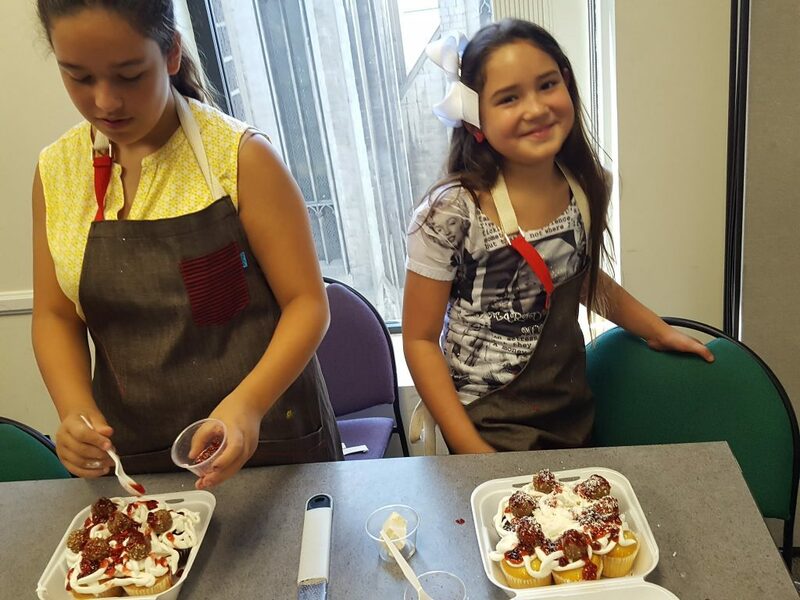 For a creative and tasty treat that every child will enjoy, baking and decorating their own cookies or cupcakes is a win-win! It can be a fantastic way to unleash a child’s creativity and engage multiple senses. Tools of different sizes and shapes can be used to create these edible crafts for kids with motor disabilities. Some ideas to customize a project include adding food coloring, sprinkles, or a child’s favorite toppings. From shaping and molding to detailed decorating, the possibilities are endless and sure to be a hit. Art Lessons for Children with Disabilities: Physical Disabilities In this resource from Jordan Schnitzer Museum of Art and VSA (a program of the Kennedy Center for the Performing Arts), examples of adaptive art for children with physical disabilities are suggested. Adaptive Art Tools Art teacher Catherine Petrino gives excellent ideas and examples for adaptive art tools for individuals with special needs. 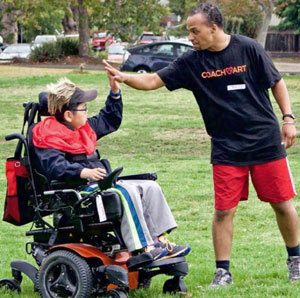 CoachArt Special Needs Inclusion offers tips for communicating with special needs children and inclusion tips for kids with motor disabilities and other forms of chronic illness. Adapting Art Experiences for Children with Physical Disabilities Bright Hub Education give excellent suggestions for adapting arts and crafts for kids with motor disabilities, including tips for positioning, mediums, and utensils. Creative Art Activities for Children with Special Needs eXtension Alliance explains how to modify or adapt art activities in child care settings so that all children can participate. • Modeling clay as a gripper for pens, pencils, crayons, and paintbrushes. • Provide the option of table easels. • Stabilize materials using tape, velcro, or non-skid backing. • Fishing weights or drapery weights placed on the ends of the tools. • Paintbrushes, chalk, and crayons with rounded ends for children who are most comfortable with a fist grip. • When it is difficult for students to use squeeze tubes, try sticky boards. • Allow the child to express their preferences and needs. • Don’t assume a child requires help. Assist a child in creating art in a way that makes them feel comfortable. 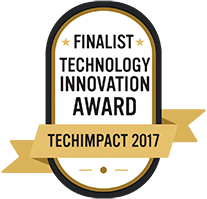 • Use adaptive art tools as necessary or as preferred. • Encourage a child’s efforts to be creative. • Modify projects as needed as a child expresses their comfort level with the activity. • Have fun! Art is about having fun and if you are having fun, the child you’re working with will be open to exploring their creativity. If a child has a motor disability that makes art challenging, these 10 adaptive crafts and extra resources will help build confidence and creativity. 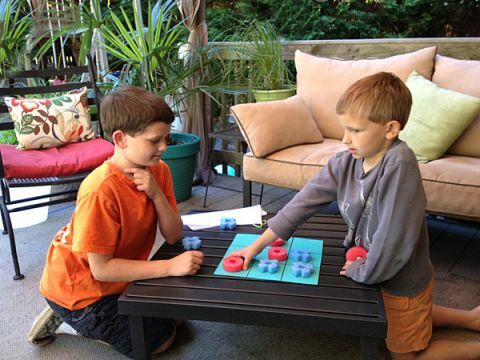 What are some of your favorite adaptive crafts for kids with physical disabilities? We’d love to hear from you. 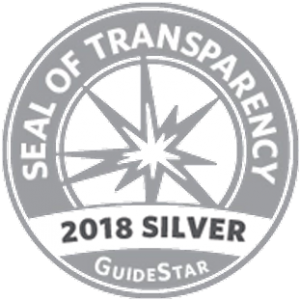 Please share your experience with us in the comments.